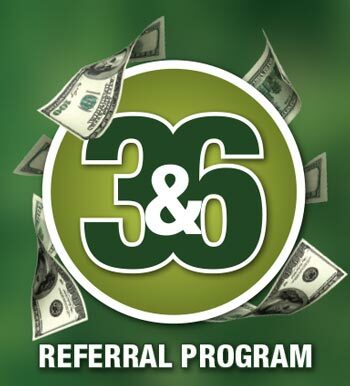 3&6 Referral Program from Outback Deck Inc.
Get up to $6,500 in program rewards! Thank you being a customer of Outback Deck, Nehemiah Exteriors or Renovation Associates. Each of the brands, in our Family of Companies, brings deep expertise within the scope of work they perform. Our clients are so happy with their projects that most of our work comes from referrals from customers like you! This is why we have introduced our 3&6 referral program. 1 Person = $100: If you refer someone to Outback Deck, Nehemiah Exteriors or Renovation Associates and they receive our price (4P Presentation) we will give you (the referrer) $100. 3 People = $1,500: If three (3) people who you refer to any of our three companies become new customers, we will refund $1,500 of the purchase price of your project. 3 More People = $5,000: If three (3) additional people you refer to any of our three companies become new customers, we will refund you an additional $5,000 of the purchase price of your project. And, if six (6) of your friends and neighbors don't purchase from us, that's OK as well, because we will still pay you as an Outback Deck, Nehemiah Exteriors or Renovation Associates customer $100 for each person you refer to us that receives our price (4P presentation). The parent company (Virtus) will decide if a person is really a new referral or not. If we already have the person's name and address in our system, for example, we can't consider them as a new referral. Obviously, the referral must be newly entered into our system as your referral prior to the first appointment. The referral must meet with us within 30 days of the referral to qualify. A referred person can't be considered as a new customer until they have actually bought and paid for a project -- with at least a $10,000 purchase price, within a year of being referred to us. So, if they receive our price, you are eligible for the $100, but if they don't purchase at least $10,000 worth of our products, they don't count towards your three or six referrals. Only one referral per address. Also, if we believe that the referrals you send us are not really being submitted to us in good faith, we do reserve the right to disqualify the referrals. All previous orders are excluded. Liability for any federal, state, and local taxes that may apply to referral fees paid to you are your responsibility. Any required tax reporting forms will be furnished to the Internal Revenue Service. Referral entries that are lost, late, illegible or incomplete for any reason will not be eligible, and Outback Deck, Nehemiah Exteriors, and Renovation Associates reserve the right to modify, suspend or terminate this promotion at any time, without notice, and to disqualify any entry in good faith. Employees, agents, officers and directors of Outback Deck, Nehemiah Exteriors, and Renovation Associates, its affiliates, subsidiaries, contractors, and their immediate families (and those living in their same households) are not eligible to participate in this promotion in any way. It must be perfectly clear to us that a person/customer is actually a referral from you prior to their first appointment and not from a different lead source (i.e. direct mail, web search, job sign, etc.). 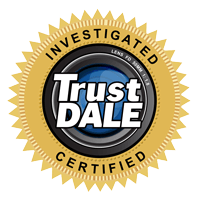 Outback Deck, Nehemiah Exteriors, and Renovation Associates have the right to verify and disclose referral/referee information.